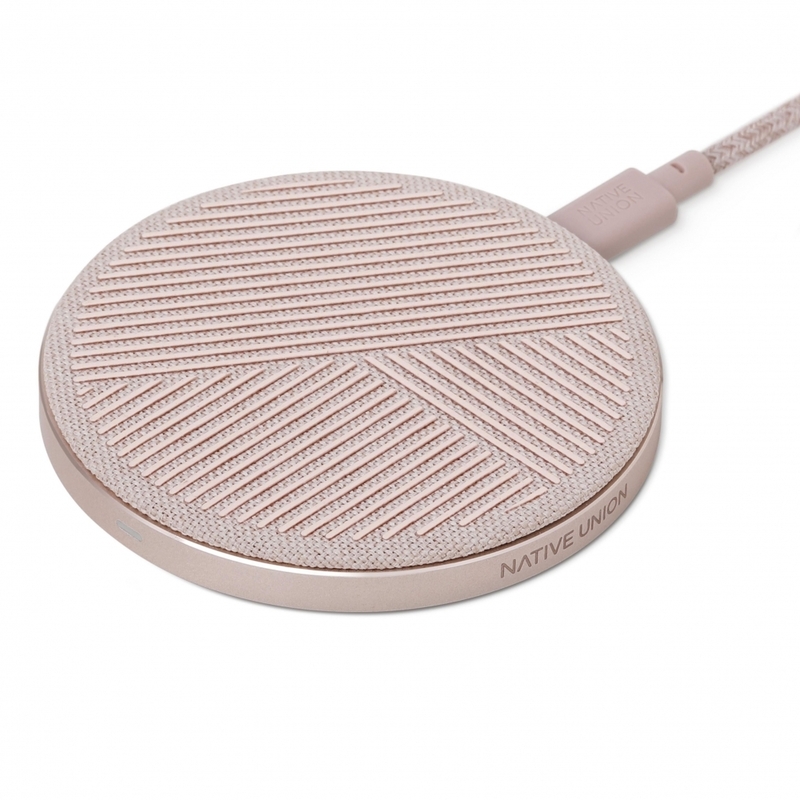 Charge your iPhone, Android phone or other Qi enabled device in style and speedily with this Native Union Drop Wireless Charger in Rose Pink. The stylish non-slip charging pad features silicone tread to hold your favourite device in place and prevent overheating to achieve optimum charging speed. Simply place the phone on the pad and wait for the battery to recharge; it will even charge through most cases for the ultimate convenience. The Native Union Drop Wireless Charger will be an indispensable accessory for a busy person who needs to charge and go.